1) (Kelston, co. Somerset; granted 12 Feb. 1568). Sa. a fret humettee ar. a bordure chequy of the first and second. 2) (co. Somerset). Sa. a fret ar. a bordure counter-componee ar. and sa. 3) (co. Cumberland, Hornby, Wickham, co. Essex, and Ridlington, co. Rutland). (Worden, co. Devon). Sa. a fret ar. 4) (co. Essex). Sa. a fret or. 5) (Honington-Sibble, co. Essex). Sa. a fret ar. charged with nine fleurs-de-lis gu. 6) (Hayton, co. Lancaster). Sa. fretty ar. over all a label of three points or. Crest—A lion’s head erased or, gorged with a belt buckled gu. (another, a lion’s face sa.). 7) (Bangworth, co. Leicester). Sa. a fret ar. and crescent or. 8) (Hanwell, co. Middlesex). Sa. a fret ar. Crest—A leopard’s head couped ppr. 9) (Stepney, co. Middlesex). Sa. a fret ar. and label of three points throughout gu. 10) (Bishton, co. Salop). Sa. a fret ar. on a chief of the second three trefoils slipped vert. Crest—A lion’s head erased or, gorged with a collar gu. betw. two trefoils slipped vert, to the collar a line and ring ar. 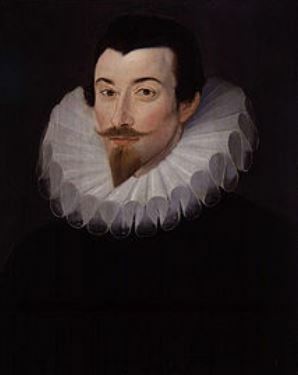 11) (Sir Henry Harrington, knighted at Christ’s Church, Dublin, 24 April, 1574. Fun. Ent. 1612). Sa. a fret ar. 12) Sa. a fret ar. Crest—A lion’s head erased or, collared gu. 13) Quarterly, 1st and 4th, sa. a fret ar. over all a label of three points gu. charged with nine bezants; 2nd and 3rd, ar. a cross patonce sa. Crest—A lion’s head erased or, gorged with a label of three points gu. charged with nine bezants. 14) Ar. on a bend gu. three eagles displ. or. 15) Or, a cross gu. voided ar. 16) Ar. a chev. gu. betw. three leopards’ faces sa. 17) (Sir John de Harrington, Knt., co. Notts, temp. Edward I). (co. Notts). Ar. a chief gu. and a bend az. This is a local name meaning “of Harrington”, which is a town or parish in county Cumberland, a corrupted form of Haverington, which in turn derives from the Dutch word Haver or Teutonic word Haber, meanings oats, plus ing, a field, and ton, a town or enclosure. Another author states it derives from parishes in counties Lincoln and Northampton. Another source states the town got its name from the Old English Haferingtun, a settlement associated with a person known as Haefer, a personal name meaning “he-goat”. Alternatively, the name may refer to a stony place (Old English haering or Hoeferingtun) or a gray woods (Old English haring). It may ultimately derive from the ancient personal name Heathehure. In Ireland, it is an Anglicized form of the Gaelic name O’Harrachtain, meaning “the descendant of Arrachtan”, a nickname meaning powerful or mighty. It also could be an Anglicized form of O’HIongardail, later O’Hurdáil, meaning “descendant of longardal”. Lastly, it may be an Anglicized form of another Gaelic name: O’Hoireachtaigh, meaning “descendant of Oireachtach, a nickname meaning “member of the assembly”. The name is common in counties Kerry and Cork in Ireland. Common spelling variations of this last name include: Harington. The earliest known person recorded was William de Harington, who was documented in the Assize Court Rolls of Lincolnshire in 1202 AD. The personal named Arintone was recorded in the Domesday Book of 1086 AD, which was a census of England and Wales ordered by William the Conqueror. In 1184 AD, the name Hederingeton was recorded. A one Richardus de Heryngton was recorded in the Poll Tax of Yorkshire in 1379 AD. On December 30, 1324 AD, John Harington was summoned to parliament. He lived from 1281-1347 and was the 1st Baron Harington. He was from Aldingham in Furness, Lancashire. He bore the blazon: Sable, a fret argent. Crest: A lion’s head erased or, collared gules. He was the son of Sir Robert de Haverington. 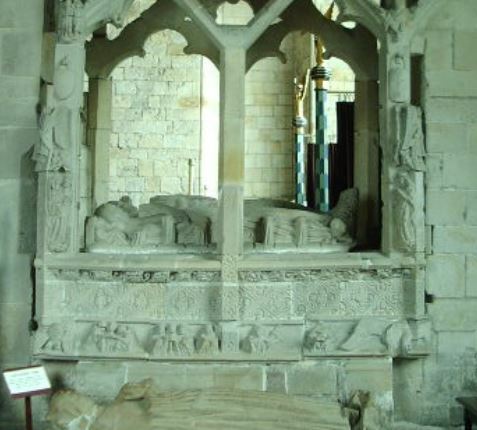 He married a woman named Joan (likely of the Dacre family) and had issue with her, including Sir Robert Harrington (1305-1334), who in turn left a son and heir named John (2nd Baron of Harington who lived from 1328-1363). A one Robert Harrington was born in 166 and married Susanna George in 1648 in Watertown, Massachusetts. They had numerous issue together: Susanna, John, Robert, George, Daniel, Joseph, Benjamin, Mary, Thomas, Samuel, Edward, Sarah, and David. He died in 1707. His son John was born in 1651 in the same city. He married Hannah Winter in 1681 and they had numerous issue together prior to his death in 1741 in Waltham, MA: Hannah, John, Mary, Lydia, George, Jonas, Patience, Anne, Sarah, Ruth, Joshua, and Josiah. The son Joshua was born in 1709. He married Elizabeth Truesdell in 1731, and later Mary Truesdell in 1739. He had numerous issue before passing away in 1791: Elizabeth, Sarah, Elizabeth, Lucia, Joshua, Samuel, Hannah, and Noah. The son Samuel was born in 1754. He married Silence Robinsom in 1782 in Dorechester, MA. Together they had the following children before he passed away in Holliston, MA in 1838: Susanna Flagg, Samuel, Lucretia, James, Sarah, Ebenezer, Mary, and Austin. The son Samuel Harrington Jr. was born in 1784 in Dorchester, MA. He married Nancy White in 1812 and had the following issue with her: Andrew, Lois, Nancy, Samuel, Sarah, Maria, and Henry. Henry was born in 1829 in Worcester, MA. The book “Genealogical Guide to the Early Settlers of America” discusses four people bearing this surname: 1) Edward Harrington, of Charlestown, in 1643, who married Elizabeth and passed away in 1647, 2) Richard Harrington, of Charlestown, with wife Elizabeth, had a daughter also named Elizabeth (1643) and died in 1659, 3) Samuel Harrington, of Hatfield, in 1679, and 4) Robert Harrington of Watertown, who married Susanna, daughter of John George, in 1648, and had numerous issue with her: Susanna (1649), John (1651), Robert (1653), George (1655), Daniel (1657), Joseph (1659), Benjamin (1662), Mary (1664), Thomas (1605), Samuel (1666), Edward (1669), Sarah (1671), and David (1673). 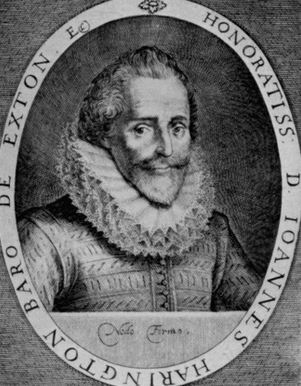 A one Elias Harrington left the port of London to Virginia aboard the Assurance in July of 1635. Other early settlers include Edward Harrington (Virginia 1606), Thomas Harrington (Maryland 1633) and James Harrington (Massachusetts 1768). One of the earliest settlers in Canada with this name was Johana Harrington in Nova Scotia in 1826. The family mottoes include: 1) A Deo et rege, meaning “From God and the king”, 2) Nodo firmo, meaning “In a firm knot”. Famous people with this last name include: 1) Joey Harrington (1978) an American football quarterback from the University of Oregon who played several seasons for the Detroit Lions, 2) John Peabody Harrington (1884-1961) who was a ethnologist and linguist, and 3) Henry Moore Harrington (1849-1876) who was a military office in the 7th U.S. Cavalry who served in the Battle of Little Big Horn.